Colour grading the way we’ve come to know it is a relatively new concept for film. The first film to be colour graded in its entirety (a process called ‘digital intermediate’ or DI) was the 2000 Coen Brothers film O Brother, Where Art Thou?, which was shot in colour, then scanned using the Spirit DataCine. Before O Brother, most films had sections scanned and processed for visual effects (i.e 1999 The Matrix green tinting). Grading film has now became a mainstay in filmmaking post-production. Filmmakers can now use the same techniques used in big budget Hollywood features, by downloading colour grading software at home. The most popular grading software would have to be Blackmagic Design’s DaVinci Resolve. Which, incidentally is used by Modern VideoFilm’s Aidan Stanford, colourist of Twentieth Century Fox and ABC’s hit television show Modern Family. We heard from Aidan about his grading of Modern Family using DaVinci Resolve. Modern Family is meant to look and feel like a documentary, with candid and organic moments. To enhance moments like an uncomfortable glance at the camera in an undetectable way, Aidan often adds a soft window on a character’s face and eyes and uses dynamic keyframes to complete the grade. 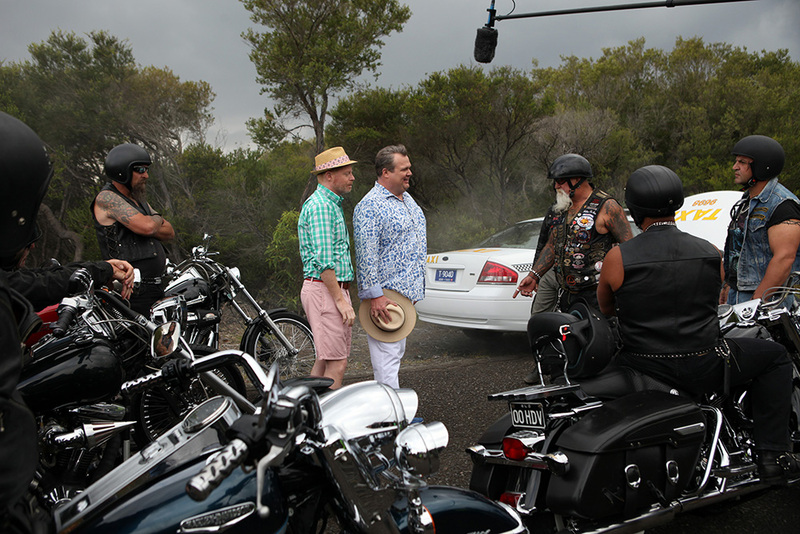 Modern Family cast visiting Australia (image: Jamie Hanson). “Some shots had windows on every actor’s face in order to keep the skin and sky balanced, correcting for the changes in natural light during shooting. I was able to keep adding nodes and pulling keys on whatever aspect of the shot was needed, such as warmth or density,” he said. “As a colorist I never feel stuck with DaVinci Resolve, and I know I can achieve what the DP is asking me to do, and everyone is happy with the results,” concluded Aidan. 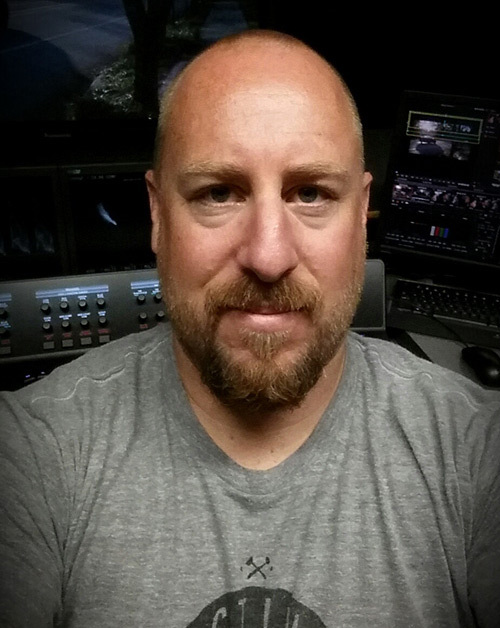 Listen to Tom Parish interview Randy Starnes on Colour Grading television shows below.